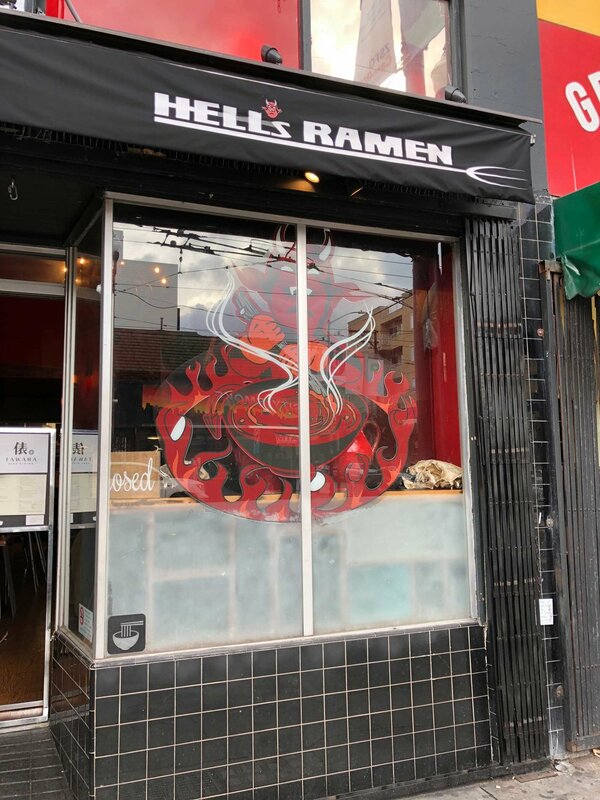 Hells Ramen is envisioned with the spirit of being a chef's hobby space, a small, intimate place where you are dining at the chef's home table and reliving traditional Japanese dishes from his childhood (some reimagined, of course!) with him. With the Mission District in mind, we have a large variety of vegan and gluten-free options available, so everyone and anyone can join us at our table. Come have some dinner, grab a glass of sake, and see if you can handle the heat. Copyright 2019. All Rights Reserved. Site Credits.